Boko Haram say they want to destroy all westerrn ideas, including democracy, and replace Ngieria’s federal constitution with Sharia law. Boko Haram, the Nigerian radical Islamist group, has claimed responsibility for the abduction of 276 schoolgirls during a raid in the village of Chibok in northeast Nigeria last month. 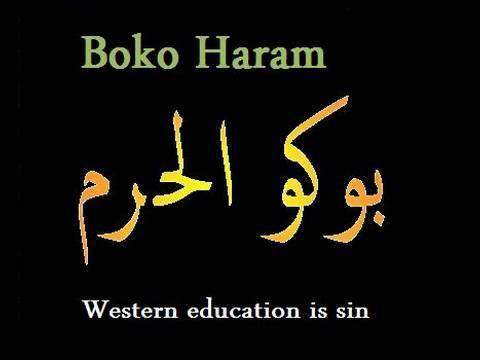 Boko Haram means “eradicate western education/influence.”The group’s leader Abubakar Shekau has publically boasted: “I abducted your girls” – referring to the hundreds of students kidnapped from their school in Chibok, Borno state, on April 14. “By Allah, I will sell them in the marketplace,” he said in the video that starts with fighters lofting automatic rifles and shooting in the air as they chant “Allahu akbar!” or “God is great”. Boko Haram stormed the all-girl secondary school, then packed the teenagers, who had been taking exams, onto trucks and disappeared into a remote area along the border with Cameroon. They have previously attacked students, children, churches and other targets. 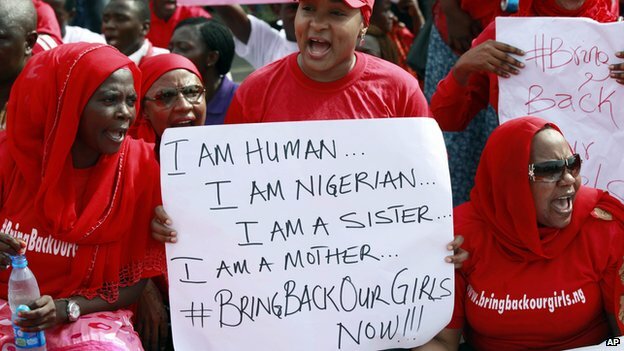 On May 7th 2014 it was further reported that suspected Boko Haram Islamist militants have abducted eight more girls in north-eastern Nigeria. 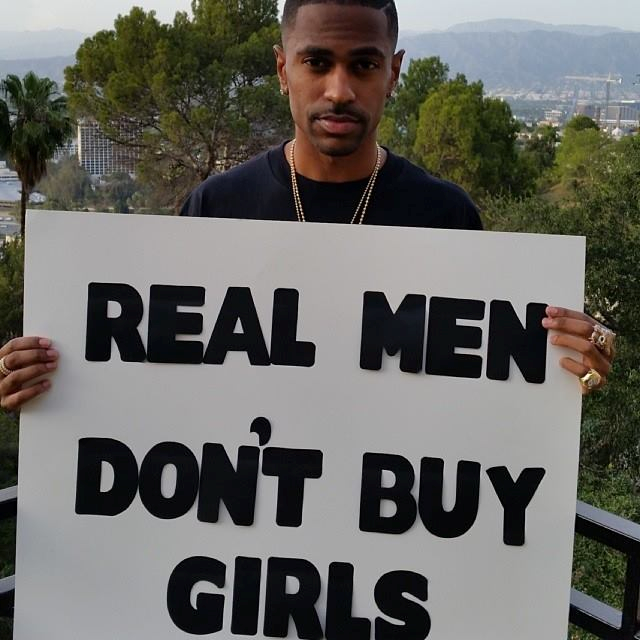 Boko Haram’s leader has threatened to “sell” more than 230 girls seized from their school, in Borno, on 14 April 2014. In recent months these have been some of the questions to the British government about the role which Boko Haram has been playing in spreading violence and intimidation, destabilising previously tolerant relationships of co-existence. Lord Wallace of Saltaire (LD): We are very concerned about kidnappings in Cameroon, which follow two similar incidents in 2013. We are aware of the growing evidence of Boko Haram having a presence in Cameroon, and discuss this regularly with the Government of Cameroon and other partners in the region. Our Travel Advice reflects the threat from kidnapping in Cameroon and other countries in the region. We have advised against all travel to the Far North Province of Cameroon since March 2013. We are aware of allegations by some media outlets and certain members of the Turkish opposition suggesting that Turkish Airlines shipped lethal material to Nigeria. We have not discussed the allegations with the Turkish government, but our officials regularly meet their Turkish counterparts to discuss counter terrorism issues. The information that I have from my brief—although I stand to be corrected by the noble Lord, who is greatly experienced in the area—is that the situation has at this stage been contained within the borders of the Central African Republic. There are some concerns about external elements and a potential religious element to this developing, and we are of course keeping an eye on that. To ask Her Majesty’s Government, further to the answer by Lord Hill of Oareford on 21 January (Official Report, col. 970) that Ansaru was proscribed by Her Majesty’s Government as a terrorist organisation in November 2012, how many attacks and fatalities have been attributed to Ansaru; how many attacks and fatalities have been attributed to Boko Haram; and what factors have led to the proscribing of Ansaru but not Boko Haram. There are no reliable statistics available on the division of responsibility for attacks in Nigeria. I refer the noble Lord to the Statement made by the Parliamentary Under-Secretary of State for Home Affairs, my noble friend Lord Taylor of Holbeach, on 22 November (Hansard, col. 2020) for the circumstances which led to the proscription of Ansaru. Ansaru is an Islamist terrorist organisation, based in Nigeria, which publicly emerged in January 2012. 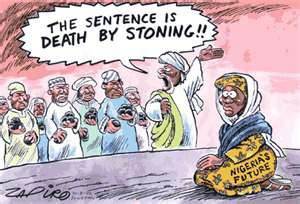 It is motivated by an anti-Nigerian Government and anti-western agenda and is broadly aligned with al-Qaeda. Ansaru is believed to be responsible for the murder of British national Christopher McManus and his Italian co-worker, Franco Lamolinara, in March 2012, the kidnap of a French national in northern Nigeria in December 2012, the attacks on a police station in Abuja in December 2012 and also the recent attack on a Nigerian military convoy in Kogi state. 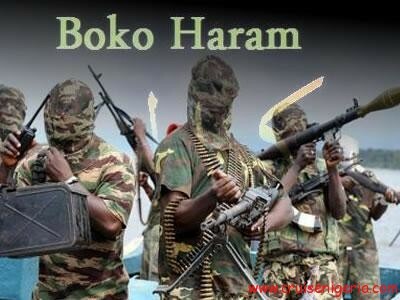 With respect to Boko Haram, the Government do not comment on whether any group is under consideration for proscription. Lord Alton of Liverpool (Crossbench) January 21st 2013. First, I agree very much with the noble Lord how important it is that these poor families have every support that we can give them. I know that through the police and in other ways through our embassy we have been providing as much of that support as we possibly can. On his broader point about Nigeria, we strongly condemn the violence that there has been in northern Nigeria. We are working with the Nigerian authorities to try to find lasting solutions to that conflict and, through our High Commission in Abuja, we are supporting counterterrorism work and interfaith projects. In November, the terrorist organisation, Ansaru, was proscribed by Her Majesty’s Government, which I hope sent a clear message that we condemn its terrorist activities. 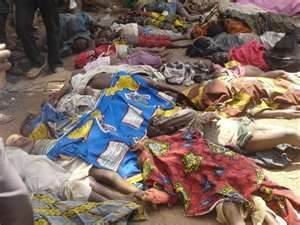 Nigeria Risks Becomming Another Sudan – where 2 million died after Khartoum declared war on its own people. To ask Her Majesty’s Government what assessment they have made of the number of people (1) displaced, and (2) facing a humanitarian crisis, in the northern Nigerian states of Borno, Yobe and Adamawa as a result of the insurgency by Boko Haram; and what assessment they have made of the needs of those people for aid. [HL6380]Baroness Northover (LD): The UK Government supports the assessment of humanitarian needs in Northern Nigeria through OCHA, the UN Office for the Coordination of Humanitarian Affairs. Although figures are difficult to quantify, OCHA estimate 5.9 million people have been affected by the insurgency in northeast Nigeria and an estimated 350,000 people have been displaced since May 2013, both within Nigeria and across the borders into Chad, Niger and Cameroon. Most displaced people are living in host communities, although around 5,000 are in camps. OCHA has assessed the priority needs of affected people as food, water, health and shelter. The Senior Minister of State, Department for Communities and Local Government & Foreign and Commonwealth Office (Baroness Warsi) (Con): During his visit to Nigeria the Parliamentary Under-Secretary of State for Foreign and Commonwealth Affairs, my hon. Friend the Member for Boston and Skegness (Mr Simmonds), met President Jonathan on 27 February 2014. Mr Simmonds discussed the security situation in the north east of Nigeria including the series of horrific attacks on civilians in northern Nigeria that have taken place over recent months. During his entire visit Mr Simmonds reaffirmed our commitment to assist Nigeria in its fight against terrorism, while stressing the importance that Nigerian forces respect human rights during their operations. To ask Her Majesty’s Government what is their assessment of the attacks on villages in Adamawa and Borno states, Nigeria, on 26 January by members of Boko Haram; and when Ministers last met the Nigerian High Commissioner and representatives of the government of Nigeria to discuss the role of Boko Haram. [HL5168]The Senior Minister of State, Department for Communities and Local Government & Foreign and Commonwealth Office (Baroness Warsi) (Con): We are appalled by these attacks which resulted in the deaths of innocent Nigerians. There can be no justification for attacks which target ordinary people going about their daily business. The UK will continue to support the Nigerian authorities in their efforts to counter the terrorist threat and to help bring those responsible to justice. The Secretary of State for Foreign and Commonwealth Affairs, my Rt. Hon. Friend the Member for Richmond (Yorks) (Mr Hague), and the Parliamentary Under-Secretary of State, my hon. Friend the Member for Boston and Skegness (Mr Simmonds), met the Nigerian President’s Special Envoy for Security, Professor Viola Onwuliri, on 5 June 2013 accompanied by the Nigerian High Commissioner to London. On 24 September 2013 Mr Simmonds again met the Envoy, who was by then also acting Foreign Minister. On both occasions Foreign and Commonwealth Office Ministers discussed the security situation and Boko Haram, and made clear that the UK continued to support the Nigerian government’s fight against extremism while stressing the need to ensure respect for human rights. The Senior Minister of State, Department for Communities and Local Government & Foreign and Commonwealth Office (Baroness Warsi): The British Government condemn these attacks which targeted members of the Civilian Joint Task Force in Nigeria. This is the latest in a series of attacks on the Civilian Joint Task Force which is working with the Nigerian Security Forces to help protect communities from the terrorist threat posed by Boko Haram. Following the decision to proscribe Boko Haram in the UK, the Nigerian Minister of Foreign Affairs wrote to the Secretary of State for Foreign and Commonwealth Affairs, my Rt. Hon. Friend the Member for Richmond (Yorks) (Mr Hague) expressing his Government’s gratitude for our decision and confirming their appreciation for our support in tackling the challenges posed by terrorism. the Government are providing £800,000 over three years for work towards creating space for dialogue where the different communities can come together to discuss intercommunal issues in areas of tension;our high commission in Abuja has been involved in a programme to train youth peace ambassadors from both Christian and Muslim communities;our high commission has also funded a TV series to debate interfaith issues; andDfID has established a Nigeria stability and reconciliation programme, which specifically aims to address the grievances that can lead to extremism and terrorism. The Government are considering the funding of a further interfaith project and will continue to work with the Nigerian Government and civil society to find a lasting solution to violence in Nigeria. The Senior Minister of State, Department for Communities and Local Government & Foreign and Commonwealth Office (Baroness Warsi): It is long-standing British Government policy not to comment on intelligence matters. To ask Her Majesty’s Government what information they have about the attack on St. Rita’s Church, Kaduna, Nigeria, on 28 October; and what is their assessment of the role played by Boko Haram in that attack. [HL3039]Baroness Warsi: Our high commission in Abuja understands from reporting in Nigeria that a suicide bomber in a car containing explosives pulled up to the church, was refused entry, reversed and then rammed into blockers, detonating the explosive devices in the car. The Nigerian authorities have confirmed that only one suicide bomber was involved. Responsibility for a number of attacks against places of worship has been claimed by the Islamist extremist group commonly known as Boko Haram. Although there is widespread belief that Boko Haram is responsible for this incident due to the target and nature of the attack, there has been no claim or denial of responsibility and we cannot confirm whether the group was involved. To ask Her Majesty’s Government when they last discussed the role of Boko Haram in Nigeria with the Government of Nigeria; and what is their assessment of alleged links and connections between Boko Haram and groups or individuals in the United Kingdom. [HL2741]Lord Wallace of Saltaire: We regularly discuss the threat posed by terrorist groups including Boko Haram with the Government of Nigeria at both official and ministerial level. Most recently our acting high commissioner raised the threat posed by Boko Haram and affiliated groups with a senior Nigerian official in early October. In relation to any presence of the organisation in the UK, it is a long-standing British Government policy not to comment on intelligence matters. The Senior Minister of State, Department for Communities and Local Government & Foreign and Commonwealth Office (Baroness Warsi): The Human Rights Watch Report highlights the threat that violence in Northern Nigeria poses to human rights. It calls on the main Islamic group, known as Boko Haram, to stop its campaign of indiscriminate violence and calls on the Government of Nigeria to investigate and hold to account all those accused of human rights abuses, including members of the security forces. We have strongly condemned the violence perpetrated by Boko Haram. We are deeply concerned about the allegations of human rights abuses being perpetrated by members of the Nigerian security services, including the ones contained in the recently published Human Rights Watch report. These are serious allegations from a respected organisation. We expect the Nigerian authorities to investigate the allegations thoroughly and independently, and to prosecute and punish anyone found guilty. The Human Rights Watch report recognises the UK’s engagement on these issues. However, it also calls on the UK to be even more proactive. Our high commission in Abuja and visiting officials regularly call for those responsible to be brought to justice, including members of the security forces. UK policy towards Nigeria is clear. Our programmes such as the Department for International Development’s Justice 4 All and the Nigeria Stability and Reconciliation Programme are designed to increase human rights awareness and ultimately protection. We will continue to explore further opportunities to tackle violence and engage on human rights in Nigeria. Lord Alton of Liverpool: To ask Her Majesty’s Government what progress they have made in establishing whether or not there are links between Boko Haram and organisations and individuals in the United Kingdom. Lord Alton of Liverpool: To ask Her Majesty’s Government what information they have about the attack on St. Rita’s Church, Kaduna, Nigeria, on 28 October; and what is their assessment of the role played by Boko Haram in that attack. Lord Alton of Liverpool: To ask Her Majesty’s Government when they last discussed the role of Boko Haram in Nigeria with the Government of Nigeria; and what is their assessment of alleged links and connections between Boko Haram and groups or individuals in the United Kingdom. Lord Alton of Liverpool: To ask Her Majesty’s Government what is their assessment of the Human Rights Watch report Spiralling Violence: Boko Haram Attacks and Security Force Abuses in Nigeria, published on 11 October. Lord Alton of Liverpool: To ask Her Majesty’s Government whether they have designated Boko Haram as a terrorist organisation. Boko Haram say they want to destroy all westerrn ideas, including democracy, and replace Nigeria’s federal constitution with Sharia law.